Reality is somehow more complex than what my brain had envisioned it to be. This includes that reality is more complex than an Excel sheet, which is not a big surprise, I know. But it also means that I need about twice as long for transforming the room I rented into a usable -and preferentially: nice!- kitchen space. I also learn many things in the go. How my power connection works (as a physicist I learned a trillion things about electricity, but apparently not how to figure out that the available power connection is far to weak for my simple needs and needs replacement). Or how to coordinate my thousands (well tens) of incoming deliveries while only working part-time at the location of delivery…. and many other tiny things. 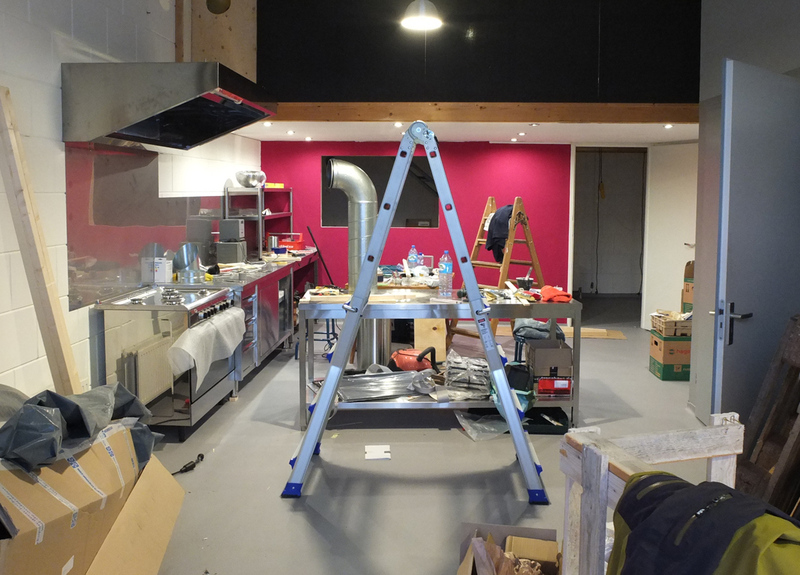 And: At least the room starts to look somewhat like it could be kitchen one day (see below). You want to hear my guess: It could be ready somewhere next week. Now let’s see who’s wining. My optimistic brain. Or reality. Start’s too look a bit kitchen-like, don’t you think?